Click Here to Preview the Book for Free via Amazon. 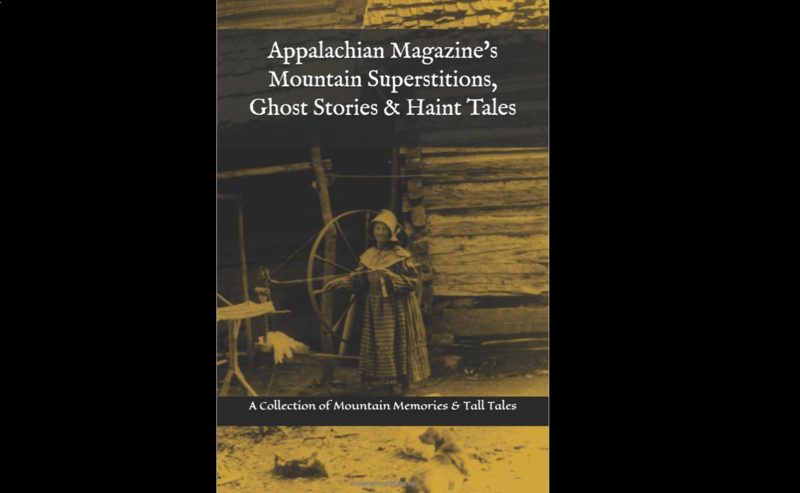 This week, just in time for Halloween, Appalachian Magazine has unveiled its latest print publication, “Mountain Superstitions, Ghost Stories & Haint Tales: A Collection of Memories & Commentaries from the Mountains of Appalachia”. The 117-page book contains over one hundred fascinating accounts and commentaries of dark mountain magic, superstitions and haints; these tales range from the bizarre to downright spine tingling. Specializing in taking readers on a timeless journey through the Central Appalachian Mountains, Appalachian Magazine’s latest publication explores not only the ghost stories of days gone by, but seeks to explain the backstories of how beliefs in mystical mountain witches, fairies, and old fashioned haints developed and thrived for generations in the mountains of North Georgia to West Virginia and nearly all points in between. The book also explores the role mountain religion played in countering these beliefs, as well as perpetuating these very same teachings. Launched by Appalachian natives Jeremy and Allison Farley, the magazine has been a labor of love for the couple and readers can expect the same high level of quality and admiration for Appalachia in this publication as is presented in every article that bears the magazine’s title.